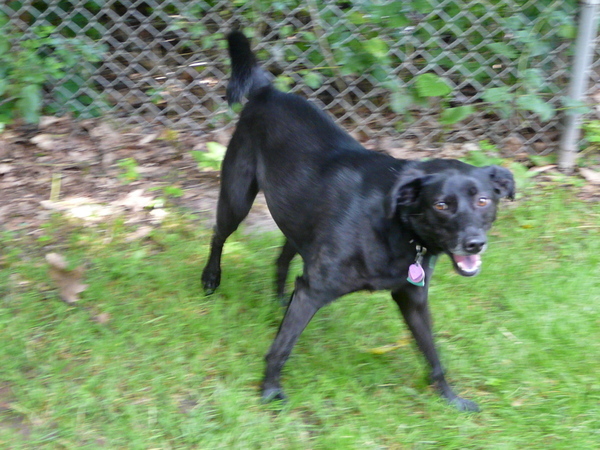 A Dog’s Life, LLC is New Haven's premier doggie daycare. Our 5,000 sq foot facility has an indoor playground, outdoor bathroom area, and kennels for overnight guests. In our lobby is a pet supply shop which features healthy, natural, organic, and holistic options for your dog or cat. Here at A Dog's Life, we strive to only carry healthy brands of food and treats for your dog and cat. Our food brands contain no by-products, corn, or soy, and the majority of the brands we carry are made in the USA or Canada. We also carry many grain-free options. We can help you pick the best toys for your dog's play style because we test them out in our daycare! Our mission is to help build and strengthen the bond between pet and owner. We strive to do this by providing services, products, and information to help you be the best pet parent you can be! If you need assistance in a specific area, please feel free to ask at any time. ADL is committed to continuing education. All staff are trained on a video series called Knowing Dogs 101 & 201 to learn about how to effective manage group play. 2016: Ken Rameriz: Advanced Training Topics:Reinforcement Strategies; Complex Tools; Social Animals - Working with Groups; Aggression Reduction Strategies; Case Study: Teaching Aggressive Dogs to Live Together. This list does not include the webinars and video seminars we use for our education by top notch canine behavior educators like: Dr. Ian Dunbar, Susan Friedman, PhD, Dr Sophia Yin, Pat Miller, Susan Briggs, Robin Bennett, and Pia Silvani. The more we learn, the more we have incorporated into our daycare program.